Friday, March 18 11 a.m.
Saturday, March 19 11 a.m. In this 2-Day Workshop Missy will cover many tips and tricks to sew and baste your English Paper Piecing using traditional and her own English Paper Piecing method. Wool and needleturn applique techniques will also be covered. 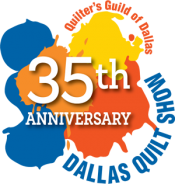 Sign-up NOW spaces are limited! Soft floral applique block of the month from MODA featuring the fabric Windermere. Designed by Brenda Riddle of Acorn Quilt Company. Wool Applique block of the month with a touch of velvet. Each block is reminiscent of an antique cross stitch sampler right down to the alphabet! This beautiful applique block of the month is from the book Floral Bouquet by Yoko Saito. The project includes background and applique fabrics only. 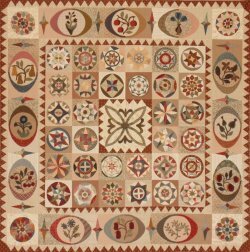 This quilt lends itself to be embellished with silk ribbon and other embellishment threads. You must come by and see the sample to see how embellishing it add a new dimension to the flowers, leaves and birds. In this fun and creative class Janet will show you the beautiful art of silk ribbon embroidery. You will learn basic silk ribbon stitches that combined will make beautiful flowers and floral bouquets. 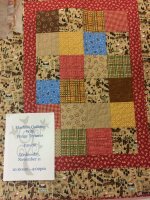 In this class you will learn to machine quilt using both walking foot and darning foot. 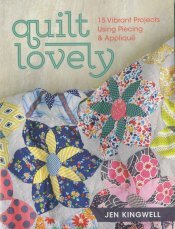 Penny will share many of her tips and tricks to make you a machine quilter by the end of the day.